Airsoft guns closely resemble real guns making them potentially dangerous if used improperly. This is the reason why they are regulated by federal laws in the United States. In other countries, importing airsoft guns is prohibited. The laws regulating airsoft guns are more complex in the United States than in other countries. They also vary from state to state. Most of these laws are focused on possession and use, the distinction between real firearms and importation. Why Is There A Need For Airsoft Gun Laws? Makers of airsoft guns are proud to say that their toy guns look like the real. You won’t be able to distinguish one from the other just by looking at them. And there lies the danger. Airsoft guns are designed to be toys only. However, the reality is they are capable of doing harm. According to Tactical Airsoft Magazine, those who are below 20 years old are the age group who has been mostly injured by non-powder guns. Airsoft guns can propel BBs from 100 to 500 feet per second. At such speeds, a pellet from an airsoft gun can pose serious eye and other body injuries to people. In the past years, hospitals all over the United States have reported dramatic increases in eye injuries caused by airsoft guns. In this regard, the government can’t be blamed for enacting laws that regulate their use and possession. There are reports that say young people were shot by police authorities because they were holding airsoft guns that they mistook as real firearms. They are unmindful of the danger posed by holding their toys in public. There are even instances when these toy guns were used in robberies and other crimes wherein the victims thought that they are real guns. Owners of airsoft guns must be aware of the risks posed by their toys. Since their toys look like they’re real, they must also be responsible ‘gun’ owners. As such, they should know the laws of their states that regulate possession and use of airsoft guns. Under the federal laws of the United States, airsoft guns are regarded as legal weapons. However, in some cities across the country, the respective ordinances and definition of firearms are somewhat different from each other. There are states where legal firearms include gas and spring gun while others are more relaxed in certain areas. 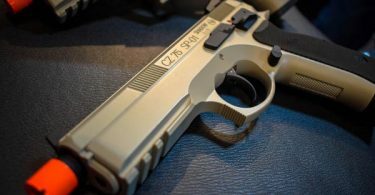 Some states require the removal of brands or trademarks in airsoft guns if the replica maker has no license agreement with the maker of the real gun. In general, federal law requires an individual to be at least 18 years old to be able to buy an airsoft gun. However, since they are not real guns but replicas only, their use has no age requirements. As such, even young children as old as ten or 11 can play with an airsoft gun, legally. But it is really important to distinguish the difference between buying and using so that you won’t be violating airsoft gun laws in the United States. Since these laws vary from state to state, you need to really examine the laws that are enacted in your city and state. What Are The Individual State Laws? In California, persons under 18 years of age are not allowed to buy airsoft guns. According to Airsoft Aculous, you need to show proof that you are 18 years old if you want to buy one. If you own one, you are not allowed to carry it in school. You are also not allowed to brandish it in public. If you violate the airsoft gun laws in California, you will be fined $1,000 for the first offense, $5,000 for the second offense and $10,000 for the third and subsequent offenses. In Florida, you are not allowed to buy or use airsoft guns if you are under 16 years of age unless you are accompanied by your parent. Those who are 16 years old and above are allowed to use airsoft guns in competitions and hunting. If a parent violates the airsoft gun laws in Florida, he will be required to attend classes on parenting education on the first conviction of his child. For subsequent convictions, the parent may be required to do community service, in addition to attending further parenting education. The minor will be jailed for 3 days and serve 100 hours in community service for his first offense. For subsequent offenses, he will be jailed for 15 days and serve 250 hours in community service. He will also not be allowed to get a driver’s license for two years after reaching the age of 16. In Michigan, the law prohibits you from carrying an airsoft gun in school. If you violate the law, you will go to jail for at least 93 days. You will also be fined at least $2,000 and will do community service for at least 100 hours. Some jurisdictions in the state prohibit minors from owning them. 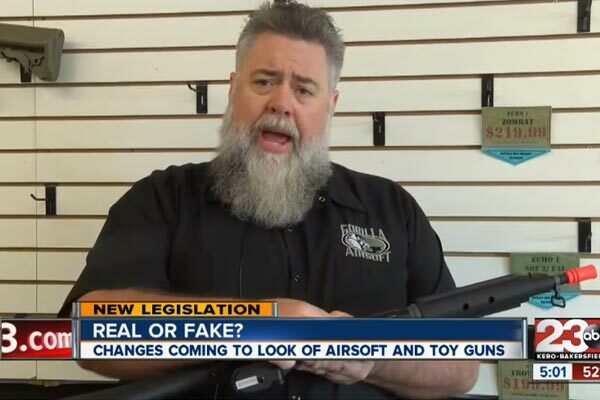 Michigan laws also penalize the malicious use of airsoft guns. If you brandish them in public to intimidate or threaten others, you will be fined $5,000 or serve the jail term for four years. If you will use an airsoft gun to commit a crime, you will be given 5 years in jail and be fined at least $2,500. In New York, minors under the age of 16 are not allowed to own airsoft guns. If found guilty, the minor will be arrested and charged in a juvenile court. He may serve a number of hours in community service if found to be multiple offenders. Airsoft guns are not allowed in public places such as schools and parks in New York City. Generally, this city does not allow the selling of airsoft guns, unless they meet stringent marking regulations. The penalties for breaking airsoft gun laws in New York are very harsh. They can range from one year to 25 years in jail. 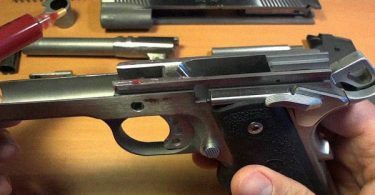 You can spend one year in jail if you are found guilty of 4th-degree criminal possession of a firearm. If you are guilty of first-degree criminal possession, you may be sentenced to 25 years. For the airsoft gun laws in California, please watch this video. It will show you why it is important to follow airsoft gun laws.